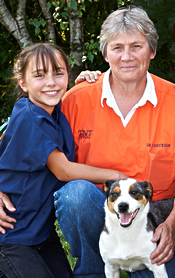 About TNT Equine Veterinary Clinic and it's veterinarians and staff. Dr. Erickson did her undergraduate studies at Michigan State University. She spent four years as a licensed veterinary technician at Thomas Monfort & Associates in Illinois, where she was encouraged to continue her education at Mississippi State University. After an internship at Rochester Equine Clinic in 1990, Dr. Erickson joined the practice and later became a partner as well as director of ambulatory services. 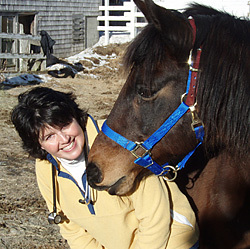 She is the founder of TNT Equine and has built an exceptional reputation over the last 25 years for patient care, power-assisted dentistry and has established herself as the area's leading reproduction specialist. In the wee hours of the morning Dr. Erickson can be found reading up on the latest in children’s literature with her daughter Olivia and her twin girls. 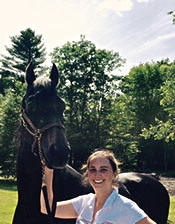 A New Hampshire native, Dr. Edmunds returned to the granite state and joined TNT Equine in the fall of 2009. She studied at the University of Virginia before completing her undergraduate studies at the University of New Hampshire, graduating with a bachelor’s degree in Animal Science. Dr. Edmunds graduated with distinction from Cornell University, College of Veterinary Medicine, in 1998 and then went on to complete a one year internship in equine medicine and surgery at Pilchuck Veterinary Hospital in Washington State. She spent the next ten years at Pilchuck as a staff veterinarian. Her practice consisted of primary care for horses and small ruminants, in-patient intensive care, reproductive services and staff education. Since joining TNT, she has expanded her interest and education in the field of modern equine dentistry. Dr. Edmunds also owns Hoofbeats Veterinary Services, providing equine, small ruminant and camelid veterinary services from where she lives in western New Hampshire. She lives in New London with her husband, sons, ponies, dogs and assorted creatures that the boys bring home. Dr. Boulton joins the TNT ambulatory team with bi-coastal experience as a lameness clinician and equine surgeon in both the university and private practice settings. A 1976 graduate of Washington State University, he completed a surgical residency at the University of Missouri, and went on to become a board certified equine surgeon. After serving on the surgical faculty at the University of Missouri and Washington State University, Dr. Boulton has spent over twenty years in private practice. Most recently, he was the owner/chief surgeon at New England Equine Surgical Services in Pembroke, NH before spending 10 years in Washington State as a surgeon and part owner of Pilchuck Veterinary Hospital. Dr. Boulton’s special interests in equine practice include soft tissue surgery, podiatry, lameness diagnostics/imaging, and emergency medicine in the field. Dr. Boulton’s expertise with a wide variety of equine sports disciplines gives him a unique perspective. He enjoys ambulatory practice because every horse is an individual and every case is an opportunity to learn something new. 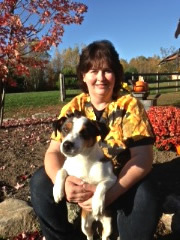 Dr. Boulton is also part of Hoofbeats Veterinary Services, in New London, NH with his wife, Dr. Edmunds. Lauri’s love of horses began with a couple of riding lessons for her 9th birthday. Her family caught the horse bug and actually purchased that very lesson horse that later became her partner on the Morgan show circuit in both Western and Hunt Pleasure. After pursuing her love of the arts in college, Lauri went to work for one of the top morgan trainers on the east coast. She later worked part-time with Dr. Erickson and became the practice manager at the inception of TNT Equine. She has been excited to see the practice grow and enjoys getting to know the clients, their horses and families. She is proud of the team that TNT Equine has assembled and is honored to work with such a dedicated group. When she’s not on the other end of your phone call, Lauri is busy with her 3 girls who have also caught the “horse bug”. Vanessa folks said she was horse crazy by the time she could walk. She grew up around the horse farms of New Jersey and then moved to Exeter New Hampshire. Vanessa finally acquired her first horse at the age of 11. She graduated from the University of New Hampshire in 1981 with a degree in Animal Science. She has worked for large animal veterinary clinics since including Rochester Equine Clinic and two clinics in the Lakes Region of New Hampshire. Vanessa has a particular interest in horse behavior and horsemanship. In her free time she participates in horsemanship clinics, trail rides, tends to her garden and roams the woods with her three corgi’s. Terry Gerrish grew up in Maine and was obsessed with horses from a young age. She aquired her first horse at the age of 10 and participated in Pony Club and 4H. She competed at shows locally including NBarH and Silver Heels then moved up to Rated shows across the state. 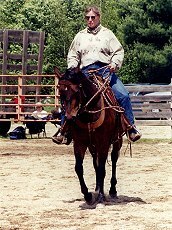 Terry began her equine career at the former Rochester Equine Clinic in 1993. She continued there until it closed and transitioned to New England Equine. 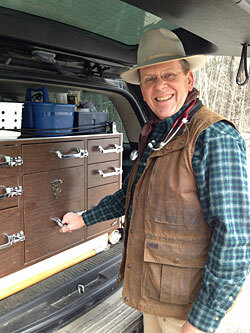 Terry joined the team at TNT Equine just after our relocation to our Maine facility. When she’s not out on farm calls with one of the TNT Equine vets, you’ll find Terry tending to one or all of her six mini donkeys. Her well mannered donkey gang are favorites at the many shows and fairs across Maine and New Hampshire. Terry lives in Lebanon with her husband Bert, Trevor the dog, the above mentioned donkeys and a variety of egg layers.